While we wait for Phase Three of the Marvel Cinematic Universe to kick off next month with Captain America: Civil War, the studio is already in various stages of development and production on several more P3 movies. One of these upcoming adventures that hasn't started production yet is Black Panther, which has Ryan Coogler set to direct. We also reported in October that Joe Robert Cole (American Crime Story) had come aboard to write the script. Earlier today, producer Kevin Feige announced that Ryan Coogler is co-working on the script as well. Here's what the producer had to say, when asked how close the script is to being finished, while also confirming when production will begin. "Very soon. We have a number of writers on it including Ryan Coogler, who is also directing, he's working on the draft right now. Between now and the end of the summer there will be more casting announcements. We start filming at the very beginning of next year." It isn't terribly surprising that Ryan Coogler is working on the script, since he wrote his critically-acclaimed directorial debut, Fruitvale Station, along with co-writing last year's box office hit Creed with Aaron Covington. Aside from Joe Robert Cole, it isn't known what other writers are working on the script, but now we know that production will begin in early 2017. The studio has already set a February 16, 2018 release date for this superhero adventure. Chadwick Boseman will make his debut as Black Panther in Captain America: Civil War, which hits theaters nationwide on May 6. Black Panther has already been confirmed as part of Team Iron Man, alongside Tony Stark (Robert Downey Jr.), War Machine (Don Cheadle), Black Widow (Scarlett Johansson ) and Vision (Paul Bettany). It was also teased in a recent trailer that Spider-Man (Tom Holland) will be fighting for Team Iron Man. 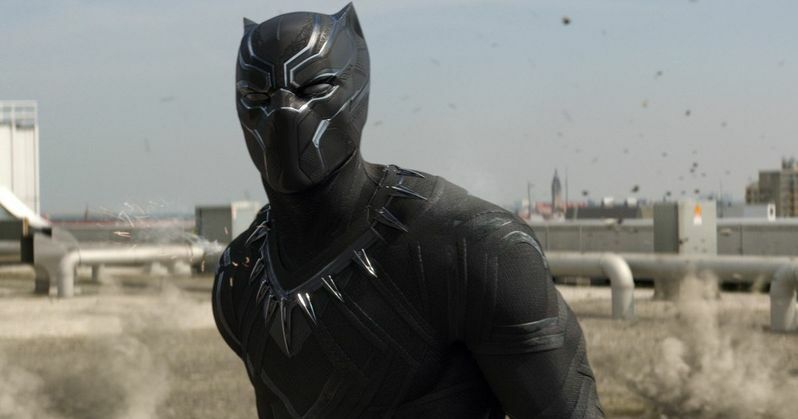 No story details have been released for Black Panther, but Chadwick Boseman recently teased that T'challa surfaces in Captain America: Civil War to try and get these heroes under control. There have also been rumors that Captain America: Civil War will feature T'challa's father, T'chaka, the current ruler of his homeland of Wakanda, who will reportedly either die or pass on his throne to T'challa at some point in the movie. What do you think about these new Black Panther details?